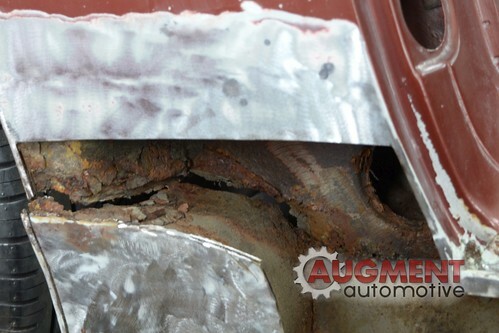 Clicking the picture at the bottom of this page will take you to an album of some of the most rusty Porsche 944’s we have welded back together over the past few years. 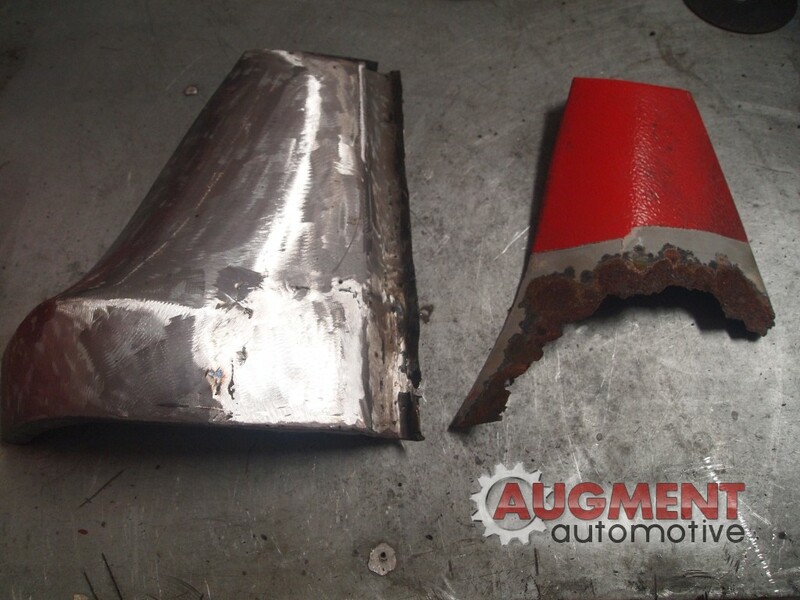 The sills on a Porsche 944 are important structurally and the construction formed by the inner and outer sills gives the chassis much of its strength. 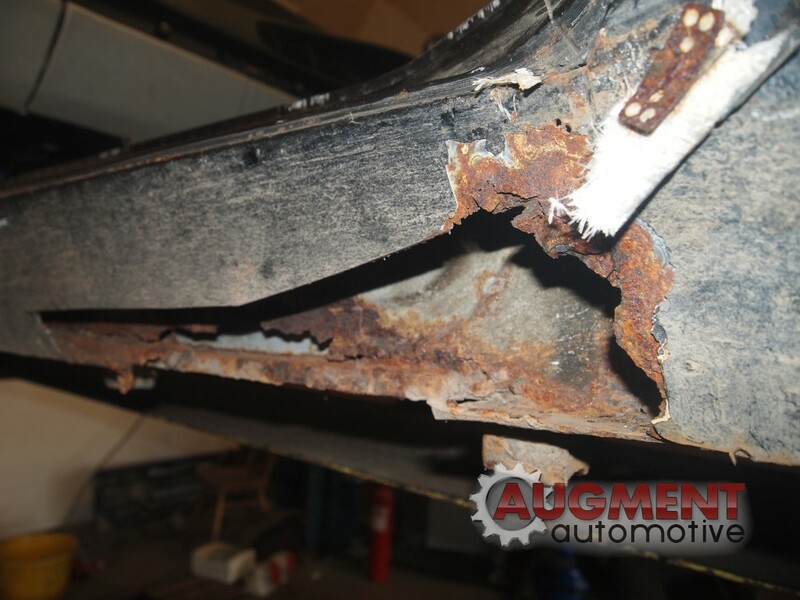 We have seen all kinds of repairs to these cars, many have in our view left the car structurally unsound. Side skirts are often fitted to hide rust. 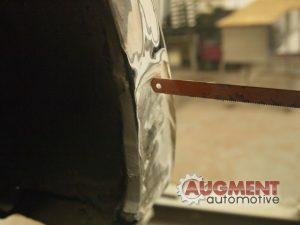 Side skirts hide rust, sometimes lots! 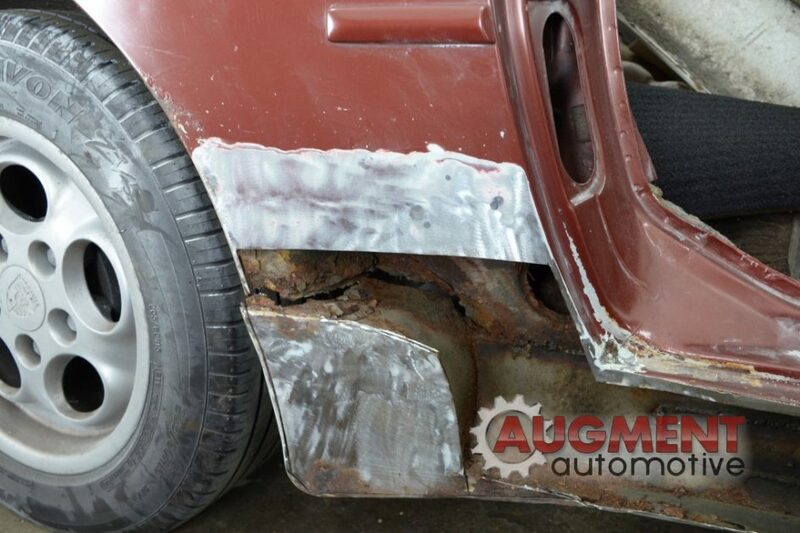 When repairing Porsche 944’s, the sills in particular, we make every effort to ensure that the structural strength of the sills is in tact following the repair. 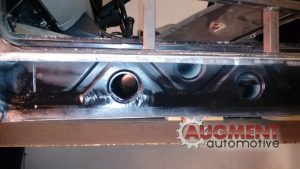 This often involves rebuilding the inner and outer sills and then ensuring they are welded together to form a sill with adequate strength to give the chassis its stiffness. We also place supports around the door frame to stop the chassis bending when the sills are removed. We always aim to replicate the original shape in metal so little more than a skim of filler is required. We have seen many repairs that rely on thick sections of filler to make the shape. We have also carried out repairs to front wings and areas around the rear quarter. We can make metal repair panels for the front wings and also reconstruct some of the more complex shapes. Have a look at our photo album on Flikr for more gruesome pictures of rusty Porsche 944’s and some repairs we have carried out.